Games are played at "Boundless Field" located at Challenge Grove Park in Cherry Hill, NJ right next to the award-winning Jake's Place All-Inclusive Playground. 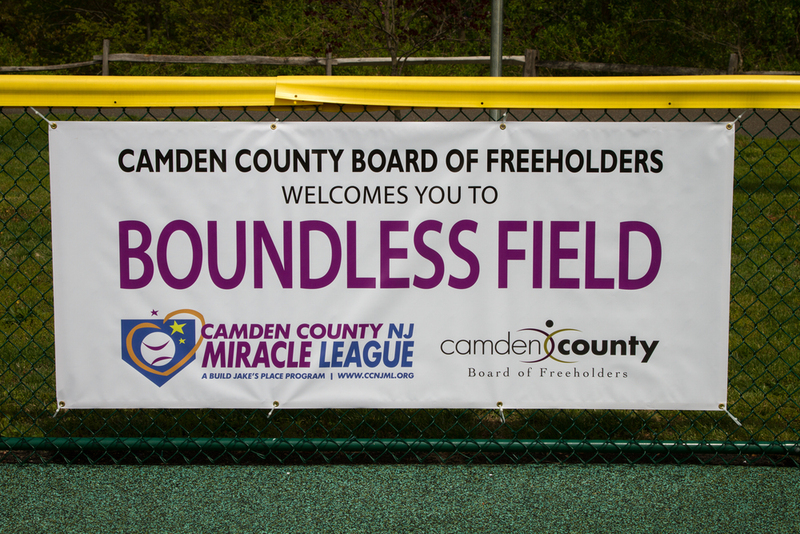 The Camden County Board of Freeholders Boundless Field is a barrier-free, handicapped accessible baseball field with a cushioned, synthetic, latex free surface that accommodates wheelchairs and walking assistance devices, while helping to prevent injuries. The field itself has 50-foot base paths and a 125-foot run to deep center field. The Boundless Field enables children and adults with physical or mental challenges the opportunity to play baseball by providing a level playing field where they can hit, run, and catch.